A Brisbane director has been sentenced to one year in jail, and fined $1 million, in a Queensland-first Workplace Health and Safety trial. Yesterday Gary Lavin, and his company Multi-Run Roofing, were found guilty of reckless conduct, after a 62-year-old roofer died at a worksite in 2014. 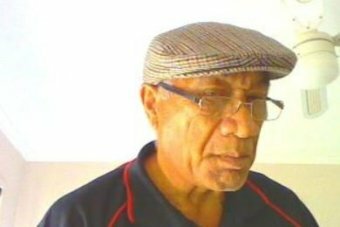 Whareheera Keepa Te Amo died after falling almost six metres off a roof at Wimmers soft drinks’ Cooroy factory in 2014. 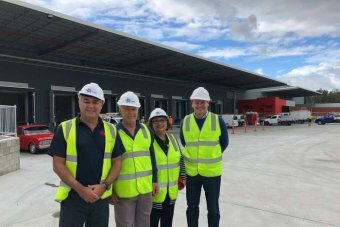 After a week-long trial, Judge Glen Cash told the Maroochydore District Court, Mr Lavin had been motivated by money, in choosing not to erect safety rails at the site, which would have saved Mr Te Amo’s life. Wimmers soft drinks co-owner, Peter Lavin, also of Lavin Constructions, contracted the roofing job to Multi-Run Roofing. As a result both brothers and their companies faced the charges. After two days of deliberation, the jury delivered majority verdicts of guilty for Gary Lavin and his company’s charges, but were hung on Peter Lavin and Lavin Constructions’ involvement in the incident. In handing down Gary Lavin’s sentence, the judge told the court Mr Lavin had been trying to maximise profits by not paying for the rails, despite being paid by his brother Peter Lavin $284,000 to complete the roofing job, inclusive of the cost of safety rails. During the trial, two witnesses gave testimony that Mr Lavin said the rails would have been too expensive. It was estimated the price of the safety rails would have been about $5,000. “You’ve shown a flagrant disregard for proper safety methods, and were motivated by the desire to improve your and your company’s financial position,” Judge Cash told the court. Mr Lavin and his workers had agreed on using safety harnesses and two scissor lifts instead, however they were not used by the workers on the day of the incident. In a victim impact statement, Mr Te Amo’s wife said losing her husband had “destroyed my future”. “He would call me four or five times a day to tell me he loved me; we did everything together. “Now I don’t have anyone to hold me … all because it was too much to put up scaffolding. The pair had been married for 21 years, and together for more than 30. Judge Cash acknowledged that Mr Lavin was remorseful for the incident, and had suffered himself as a result, and would not be renewing his roofing licence. Mr Lavin had been in the industry for close to 50 years. He was sentenced to a one-year jail term, suspended after four months, and his company received a $1 million fine, to be paid in six months. Meanwhile, Peter Lavin, and Lavin Constructions have been granted bail, to reappear in February on the remaining charges.